Jade Yoga Mat Review 2019 – How good is the Jade Harmony Mat really? Home » Buying Guides » Yoga Mats » Jade Yoga Mat Review – How good is the Jade Harmony Mat really? Grippy enough for a sweaty (but not hot) vinyasa flow class. Has enough natural cushion for a comfortable pigeon pose or forearm stand. Even though it's made with natural rubber, it doesn't have an overwhelming rubber smell when it's new. The grippy texture attracts lint and pet hair. Absorbs water a bit too well, so a hot yoga class could make the mat difficult to clean and encourage bacterial growth. The ridges that create the sticky texture make it difficult to clean. Jade yoga mats are sustainably made in the United States. Unlike cheaper mats, Jade only uses natural rubber instead of cheap PVC. This is what makes for an incredibly grippy mat with just the right amount of cushion. Aside from my favorite pair of yoga leggings, my yoga mat is the most important item in my practice. I practice a lot, and while it may happen at home and in constantly interrupted intervals, I still need a mat that's durable and comfortable. Having a bad mat is like having a poorly fitting pair of running shoes: it's going to end up hurting your body. Cheap mats lead to sore knees, stressed wrists, and a slippery practice. I've had a few low-quality PVC mats and they were terrible. My knees dug into the floor in pigeon pose and my wrists were killing me after a vigorous vinyasa class. I went through four of these mats before I got smart and realized I could have spent that $80 on a mat that will last for years. If you're a new yogi, keep this information in the back of your mind. When you're researching mats, that means you're getting serious, but make sure you're going to stick with yoga before you drop a fair amount of money on it. My Jade yoga mat review will hopefully encourage you to throw away your cheap mat and invest in a better one. Beginner students often buy cheap PVC mats at their local big box store because they're "good enough". Were you guilty of this? If you fell in love with yoga and ended up using your mat regularly, you noticed the effects of a cheap mat in your wrists, knees, and your ability to transition during a quick paced flow. While I recommend sticking with an affordable option when you're first starting, a good mat is essential when you start practicing regularly. Jade yoga mats are known for being made with natural rubber materials, resulting in a stickier mat for plenty of grip in down dog. Traction is incredibly important in my flow classes, so I can't have a mat that's slick and smooth. The extra stickiness makes a huge difference when I'm starting to sweat and jumping to the front of my mat. There is far more to a yoga mat than a pretty color or a fun design. If you're judging Jade by its cover, you're missing out on a lot! The Jade Harmony is a normal sized yoga mat, meaning it isn't extra long or extra wide (although Jade does have a Harmony XW that has an extra three inches). The Harmony is 74 inches in length and 24 inches wide. A competing mat, the Manduka PRO, is known for being cumbersome, but the Jade Harmony isn't ridiculously heavy. The Manduka PRO is a whopping SEVEN pounds, so it isn't ideal for a practice outside of your home unless you also want a brief arm workout. Serious yoga students often try to incorporate all eight limbs of yoga into their life. This includes ahimsa which means "do no harm". Part of doing no harm means living consciously in terms of the environment. Most yoga mats are made with PVC, heavy metals, and other ozone-damaging substances. The biggest complaint I heard about the mat was the smell of rubber. I like the smell of rubber, so this didn't bother me that much. However, according to some reviews I've read, the smell is really off-putting to a lot of people. A good quality mat should last for many practices. If you've been buying cheap mat after cheap mat, you've learned that you get three months tops out of these cheaper mats. That's because the lower quality mats are made with PVC, a material that's far less superior to rubber. I never thought there was that much difference in terms of PVC and rubber, but it turns out there's a big difference. PVC mats flake after regular use, especially at the back of the mat where you flip your feet over during vinyasas. To prolong your Jade's life, avoid putting your mat in direct sunlight. Prolonged UV exposure breaks rubber down and degrades your mat. According to Jade, you shouldn't store your mat in the car, either. There is nothing more frustrating to me than sliding around on my mat. If I'm doing revolved down dog or getting ready to hop to the top of my mat, the last thing I need is my hands or feet slipping. Slipping knocks me out of alignment or increases my risk for injury, so I need stability. Dry traction is just as important as wet traction. I don't consider sweaty palms "wet", so it's essential to have a mat that can handle sweaty palms or completely dry hands at the beginning of my practice. Out of a series of reviews comparing Jade to Lululemon's The Mat and Maduka PRO, the Jade Harmony seems to have the best dry traction. Both sides of the mat have a lightly ridged surface to aid in traction on the floor and for the hands and feet. The ridges are what help make the mat sticky, I discovered. Hot classes are going to make your entire body sweat, so you'll be dripping sweat from your head instead of just having sweaty feet and palms. Traction decreased as expected when my hands were particularly sweaty during a heated flow class, but I didn't feel like I was practicing on a sheet of ice. Besides traction, I think the thickness of my mat is at the top of my list. The Harmony is 4.72 mm thick, or 3/16". A lot of students say this is the perfect combination of squish without being too thick. I like extra thick mats, so I wouldn't complain a bit if the Harmony was thicker because I like a lot of cushion under my knees and wrists. This mat offered a fair amount of cushion, but personally, it wasn't enough for me during 90-minute classes and a lot of chaturangas. Jade's Fusion mat is 5/16", so check this version out if you want a really thick mat. They don't have any patterns or designs like Gaiam mats, but the colors are bright and aren't supposed to fade with use. Cleaning a Jade mat is a bit different than PVC mats because of its open-cell technology. The mat essentially acts like a sponge, so the best way to clean it is with plain water and a soft rag (lint-free is best). To deep clean, the company recommends soaking it in a bathtub, using a hose, or putting it in a front-loading washing machine on gentle with a very mild soap. However, it will take a few days for the mat to dry, so I was warned not to deep clean it the night before I needed to use it. Jade mats should never be put in direct sunlight to dry, and the company really emphasizes this. You should also never use oil- or alcohol-based cleaners or you risk breaking down the rubber and prematurely wearing out the mat. 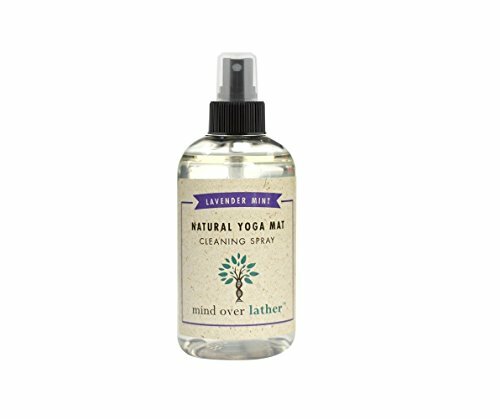 Read our full guide on how to clean your yoga mat here. If I'm dropping more than $30 on something, you'd better believe I'm going to see if other people like it. Here's what some other students had to say about the Jade Harmony. Click here to get your own Jade Harmony Yoga Mat . If you're looking for a high-quality mat, there is a wide variety of premium mats out there. If Jade doesn't seem to be a good fit for you, check out one of these similar alternatives. Known as "the" yoga mat, the Manduka PRO is apparently used by many professional yogis and beginner students alike. 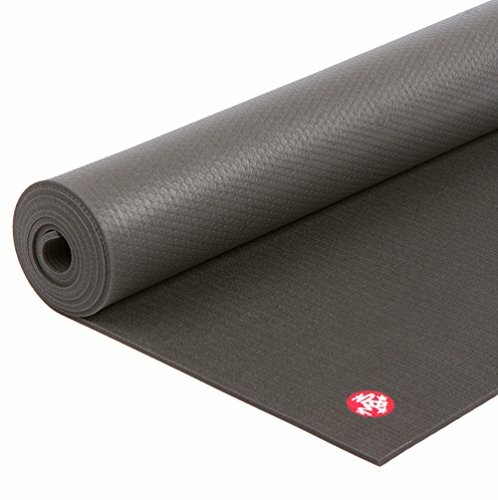 My yoga studio has a handful of PRO mats for sale at all times, and they are quite luxurious. They have a different feel than most yoga mats; I'd even describe it having a fabric-like feel to it. What makes Manduka stand out from other mats is its cushioning. It feels thick, but it doesn't have a significant amount of give to it. Too much give typically makes it difficult to support the joints or get proper alignment in standing poses. Manduka mats are extremely heavy; the PRO weighs a hefty seven pounds. The Jade Harmony is more svelte at four and a half pounds. Manduka mats don't have the same ridged texture as Jade mats do, so they're less likely to collect pet hair, lint, and fuzz. This mat has long been popular in the UK, but it's starting to make its way over to the US. The underside of the mat is made of 100 percent rubber and the top is a jute fabric/rubber mix. The fabric creates an incredibly grippy and long-lasting surface. If you like to practice with woven mats but hate having to put a non-slip mat beneath it, this is a great compromise. Because of the natural materials, the jute mats are extremely easy to clean with diluted white vinegar and water. There are two thickness options: 4 and 2 mm. Remember the Jade Harmony is 4.72 mm thick. The company is based in the UK, but there are stockists found worldwide. You can find one on ecoYoga's website. Lululemon is known for their yoga pants, but they also have a best-selling yoga mat, The Mat. The company offers a reversible version or their traditional one-sided mat. 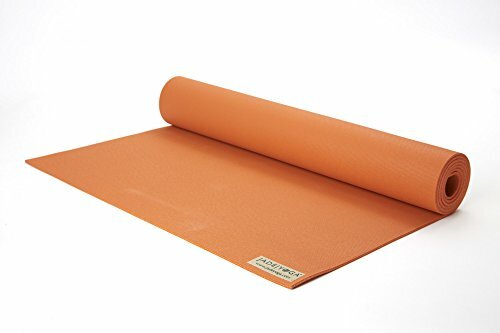 The Mat is an excellent choice for hot yoga classes because it wicks away sweat and prevents that skating-rink effect. The Mat is made of two layers. The top layer is thin polyurethane to wick away sweat and moisture for the most effective traction. The base layer is considerably thicker to cushion your wrists, knees, and elbows in various asanas. A antimicrobial agent is added to each mat to inhibit bacteria and mold/fungus growth. Lululemon uses only natural rubber, so it does have a rubber smell when it's brand new. Compared to Manduka's seven pounds, The Mat tops out at 5.24 pounds. The retail price for The Mat is $68. Choosing the perfect mat is easy when you're been practicing yoga for a while and know what you want. I've got a few years of yoga under my belt, so I know what I need to support my body and my practice. The Jade meets a majority of my criteria (good cushion, lightweight, sustainably made), but I don't like how much dog hair it collects. My dog is allowed everywhere in the house and on all of our furniture, so it's impossible to avoid hair collecting on my Jade. All in all, I think this is a great mat perfect for more advanced yoga students, but I can't recommend it for hot yoga because of its open cell technology. Click here to check them out if my Jade yoga mat review has piqued your interest!